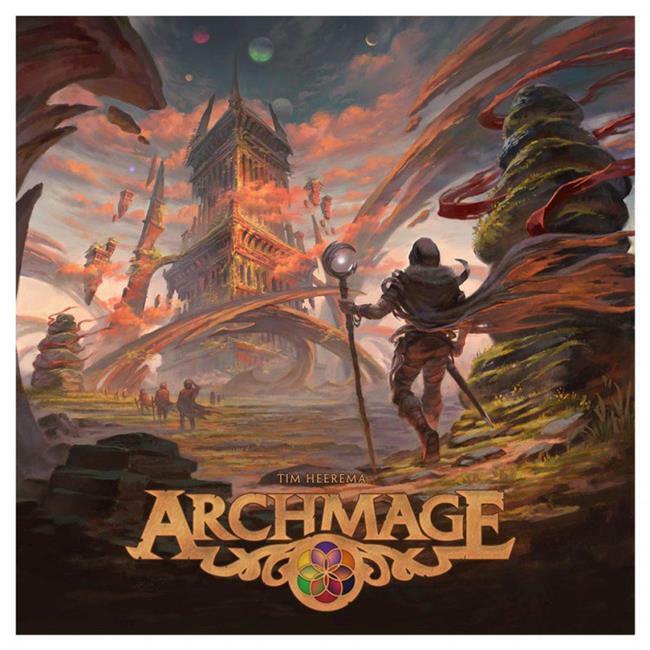 Archmage is a strategy board game where you build and lead an order of mages towards the epic destiny of becoming Archmage, a wizard that weaves all six spheres of magic into one. You begin the game as a fledgling mage exploring a post-apocalyptic landscape, deploying loyal followers from your company to gather lost relics from various ruined locations. These magical relics can be traded to six mythic races to gain a fundamental knowledge of their magic. Once these basic spells are learned, you may then combine them into higher forms of magic and continue to grow your order, casting powerful spells to further your plan to become Archmage. The game is a hybrid of euro-style and thematic board games, featuring exploration, resource gathering and management, area/map control, and a spell system where players shape a tableau of player powers over the course of the game.